Folding throw line cubes have become the most popular method for storing and deploying throw lines. You can throw or launch your line directly from the cube with tangle-free deployment. When done, simply flake the line back into the cube, twist, fold, and secure the velcro straps for compact and trouble-free storage. When deploying, a quick twist unfolds the cube. Throw line pouches and buckets are simple and can provide good results provided the throw line is flaked in so that the coils lie one on top of the other. 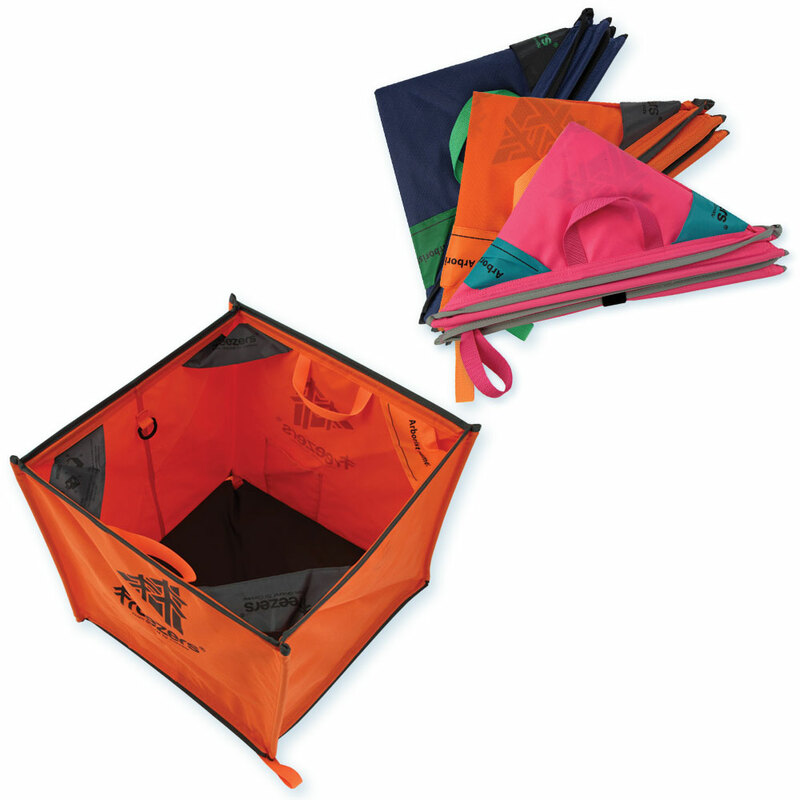 The Jubi throw line cube makes storing and deploying your throw line a breeze. The Jubi cubes have reinforced edges and corners for increased durabilty and rigidity. The battens in the edges are nice and burly, and this cube won't collapse when tipped in the wind. Jubi cubes have all the features you want to manage your throw line - two handles, 2 nylon d-rings inside for attaching lines, 2 interior pockets for weights, and 2 fabric loops at the corners for easy opening. Throw line cubes are the best solution for storing and deploying your throw line. The Falter takes the concept of the line cube to the next level. Like all throwline cubes, the Falter neatly contains your line and throw bags, but it is super-compact when folded - only under 8" x 5". When opened, the Falter measures 18.9” x 10” x 9.5” tall. This more rectangular shape gives a longer space for your throw line to lay out, reducing tangling. 2 inner pockets for storing throw bags, two loops for securing throw line. Popular with competition-level tree climbers, these folding cubes are the best way to easily store your throw line. Folds up small, but deploys quickly to a giant cube (18 inches wide) for flaking your throw line into. Then just fold & go! Two interior pockets, canvas and fiberglass construction. Keeps your lines from being tangled.